The easy, free way to build your course website! With thisCourse, you can have a full-featured course website up and running in just a few minutes. 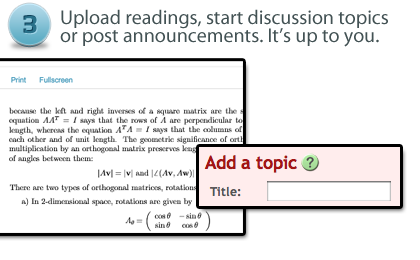 In addition to the information on your syllabus, we provide a fast place to put documents for students to read, a space for student discussions, and many other useful features. 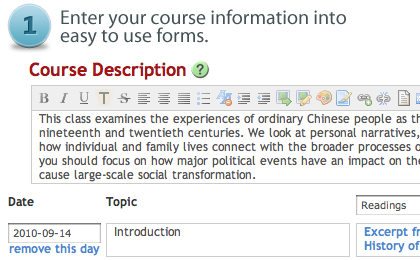 There is no faster way to create a full-featured course website. It's free too! Setup your own site, control who can edit the page and decide whether students need a password to log in. Students can access the site, post comments and read documents without creating special accounts. 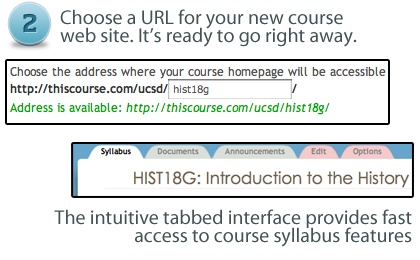 Choose an easy to remember URL for your class, accessible from anywhere.